After yesterday's posting that illustrated steam hauled trains in North Yorkshire, we continue with a vintage theme. Once again with Spring here and as the new summer season approaches, the small North Yorkshire town of Hawes in Wensleydale echos to vintage vehicle sounds. 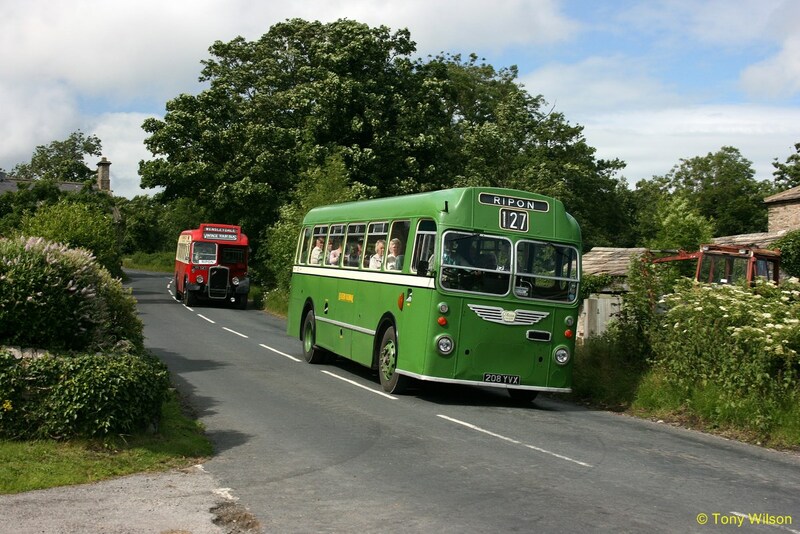 On Tuesdays only, 'heritage' route 127 from Ripon is operated by Chris Bulmer's Vintage Omnibus Services using a small selection of Bristol/ECW combination 1950s buses in the shape of two Ls and one MW type. 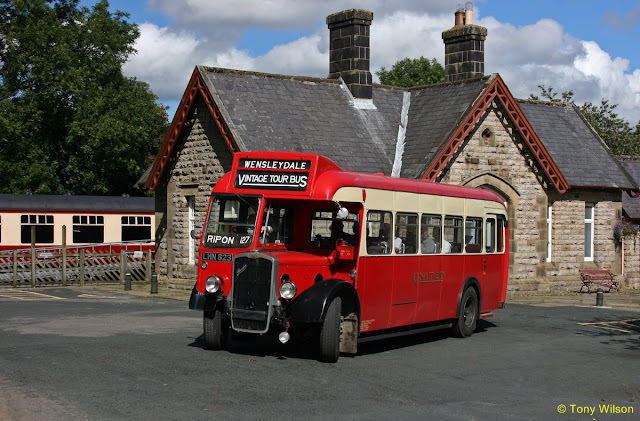 The buses have all been restored and preserved into their original liveries and are illustrated as follows. Unfortunately the MW is currently unwell, the service currently in the hands of the two Ls. The Bristol MW type (208 YVX) was originally supplied to the Eastern National Omnibus Company. 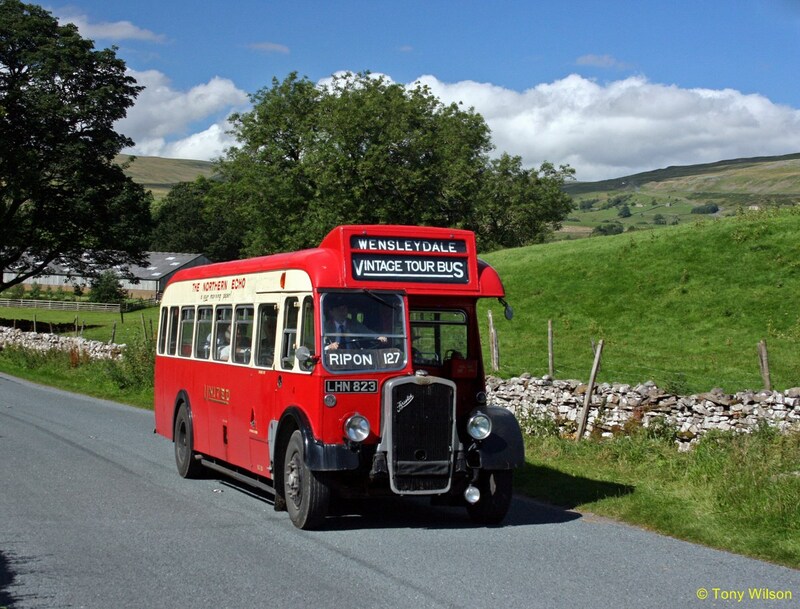 Here with a healthy loading of passengers the bus passes through Redmire bound for Hawes. At Leyburn and Redmire the route links in with the preserved Wensleydale Railway. After a short break the route continues westwards through Wensleydale towards Garsdale. 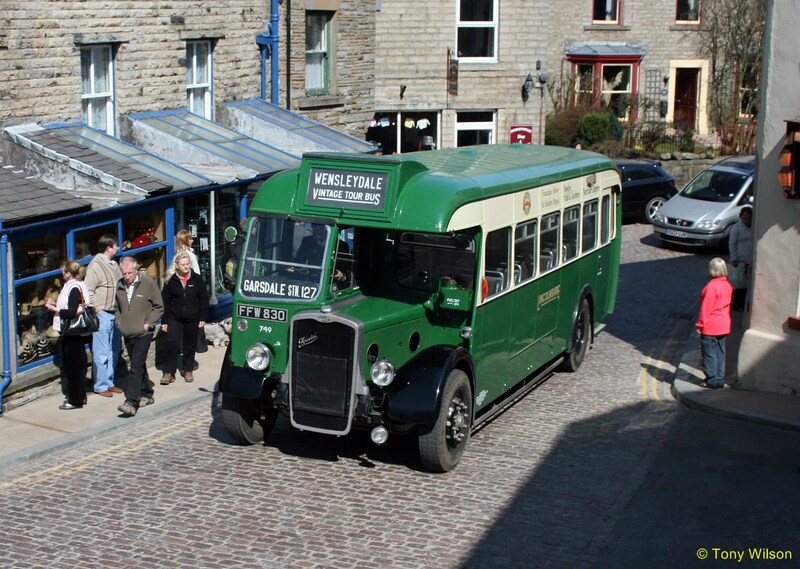 Here former Lincolnshire Road Car Company Bristol L (FFW 830) trundles over the cobbled streets of Hawes. The Bristol MW is shown here at the most westerley end of the 127 route standing close by to Garsdale Station on the Settle & Carlisle Railway Line. A steam special passing by would have completed the picture. Sadly not to be. The second of two Bristol L type in the fleet is a former United Automoble Services version (LHN 823) and passes through a sylvan setting not dissimliar to its original working years. 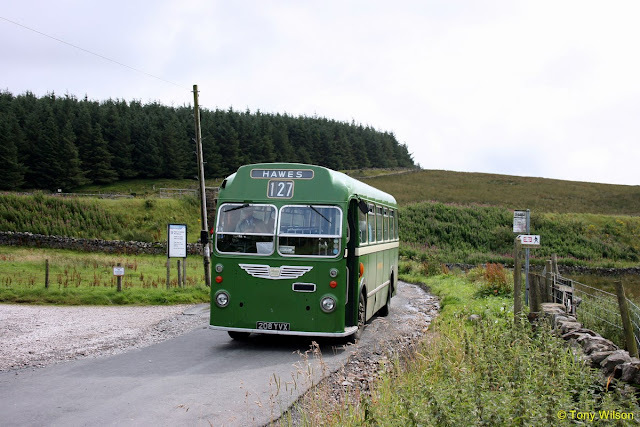 The offside of the Lincolnshire L is shown here as it returns from Garsdale on the approach to the small hamlet of Appersett. At the end of the day the United L pulls off of the stop within the old Hawes Railway Station yard bound for Ripon. On some occasions duplicate buses have been required as illustrated by a packed Bristol MW followed by a similarly packed L as they transport passengers through Wensley as the eastern end of Wensleydale. 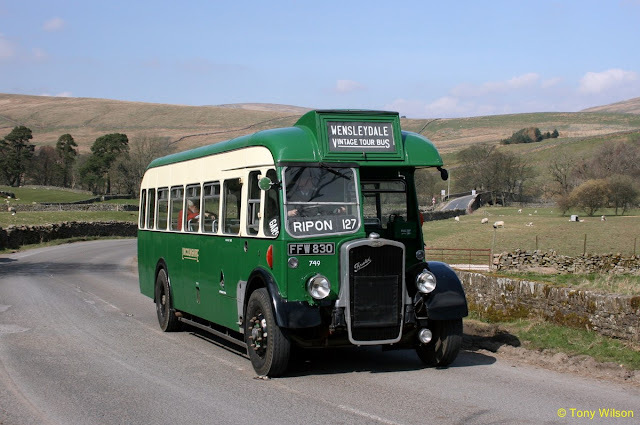 Later in the year from the 31st May Cumbria Classic Coaches will link up at Hawes with their own Tuesday-only 569 'heritage' service from Kirkby Stephen. 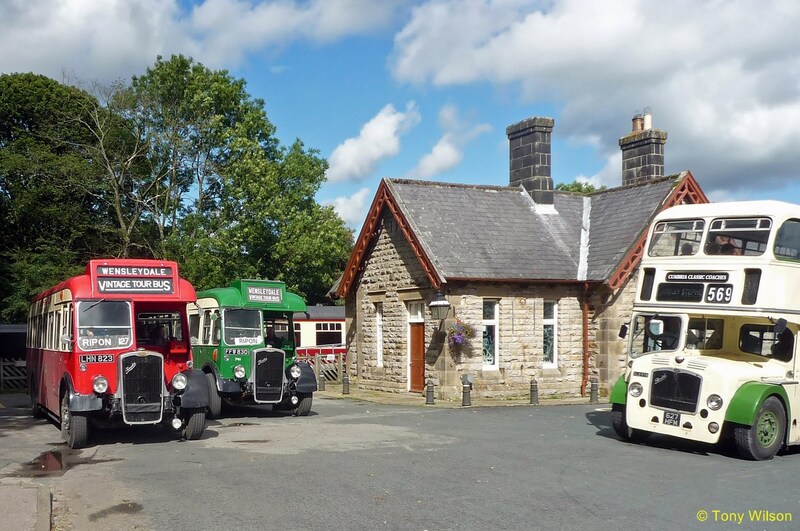 A forthcoming posting will provide details of Cumbria Classic Coaches' own services throughout Cumbria, County Durham and North Yorkshire.